The Wall Street Journal recently wrote about Google’s attempt to register the word GLASS (in a stylized manner) as a trademark for its “Google Glass” product. The article, which inaccurately reports that Google has “successfully trademarked the term ‘Google Glass'” (whatever that means … the GOOGLE GLASS application has been opposed by multiple parties), notes some of the hurdles Google faces in having the GLASS application approved by the U.S. Patent & Trademark Office (USPTO). But I’m not interested in that. This is one case where – at least for me anyway – a procedural matter is more interesting than the substantive issues. Looking over the USPTO trademark application, it’s odd that Google based its U.S. application on a foreign trademark filing from the Kingdom of Tonga. Yes … you read that correctly. Even though it sounds like a fictional fairy tale land — it is an actual real-life Kingdom (or country). I had never heard of Tonga until I saw it referenced in a Google trademark application and didn’t know it was a country, much less a signatory to international trademark agreements. Here’s proof of both: CIA Factbook and World Intellectual Property Office (WIPO). It’s not unusual for a USPTO trademark applicant to rely on a foreign application as a filing basis. Rarely, however, does a company based in the U.S. rely on a foreign application as a basis for a U.S. application. As shown below, while it may seem procedurally strange, it is allowed under the Trademark Act. And for certain companies with a business presence in multiple jurisdictions, it happens. But Google and the Kingdom of Tonga? For one, because they can under federal rules. (2) Section 1(b) – bona fide intent to use in the U.S. Sections 44(d) and 1(b) only provide a basis for filing an application not registration. Under 44(d), an applicant must submit an acceptable foreign registration before the USPTO will approve the application for publication under 44(e); a 1(b) applicant must submit an acceptable specimen showing use in the U.S. prior to registration under 1(a). The purpose of Section 44(d) is to offer foreign applicants a 6-month window to extend their non-U.S. trademark filing to the U.S. In turn, 44(d) applicants are granted a “priority” date based on the filing date of the foreign application (a “priority right” is offered by most countries under an international treaty known as the Paris Convention). To illustrate, if a trademark application was filed on February 1, 2014 with the national trademark office of Germany, the owner of the German application has until August 1, 2014 (6 months from the Feb. 1 filing date) to submit a U.S. application under 44(d) based on the German application. Doing so would provide the German applicant a U.S. “priority” filing date of Feb. 1, 2014; meaning any U.S. trademark applications filed after Feb. 1 cannot be cited by a USPTO Examining Attorney as a preliminary bar to approval. The filing date is an important date because without earlier use in the U.S. it’s the date that establishes trademark rights. (2) The foreign application that is the basis for the priority claim must be filed in a country that either is a party to a treaty or agreement with the United States that provides a right of priority, or extends reciprocal rights to priority to United States nationals. 15 U.S.C. §§1126(b) and (d). The United States, by definition, is not a country that has a treaty with the United States. Therefore, the term “country of origin” in §44(b) means some country other than the United States, and the term “person” in §44(b) means a person who can claim a country of origin other than the United States. In re Fisons Ltd., 197 USPQ 888 (TTAB 1978). “An applicant domiciled in the United States may claim priority under §44(d) based on ownership of an application in a treaty country other than the United States, even if the other country is not the applicant’s country of origin. See In re ETA Systems Inc., 2 USPQ2d 1367 (TTAB 1987), dec. withdrawn on other grounds (TTAB, November 28, 1988); In re International Barrier Corp., 231 USPQ 310 (TTAB 1986). See TMEP §1002.02. This is how Google filed its GLASS trademark application. It combined a 1(b) intent to use basis with a priority claim under 44(d) based on the earlier filed application with the Kingdom of Tonga. Their priority filing date for the U.S. application is February 7, 2013. 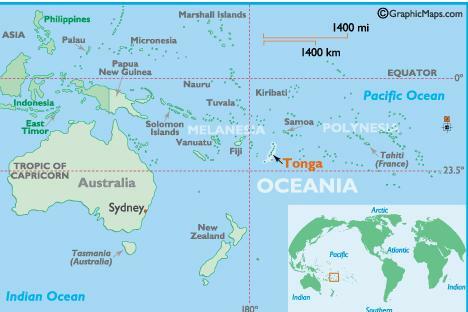 But none of this answers the question: why Tonga? A search online doesn’t show that Google has an industrial or commercial presence in Tonga. They have never claimed it to be a “country of origin.” Based on USPTO records, nearly every application Google has filed with 44(d) as an original filing basis includes an underlying application from the Kingdom of Tonga. During prosecution of these applications Google simply deletes the 44(d) basis, retains the priority filing date, and proceeds by seeking registration under 1(a). Look it up. It’s publicly available information and viewable online at the USPTO’s website. Which, I suspect, may be an answer to the “why Tonga?” question. As far as I can tell, trademark filings with the Kingdom of Tonga are not publicly viewable online (here’s the website for their “Registry and Intellectual Property Office”). Google seemingly uses Tonga’s national trademark office as a private repository for trademarks that can be later filed in the U.S. (and perhaps other countries) with priority rights. Is this all really just a filing strategy employed by Google for at minimum a few months of — ahem (clear my throat) — privacy? If so, then even Google has to go (and is willing to go) to great lengths to get it … all the way to an obscure foreign kingdom in the South Pacific. ← “It’s Gone Forever”: Was the FLAPPY BIRD Trademark Abandoned?